My oldest son is a huge NASCAR Fan. 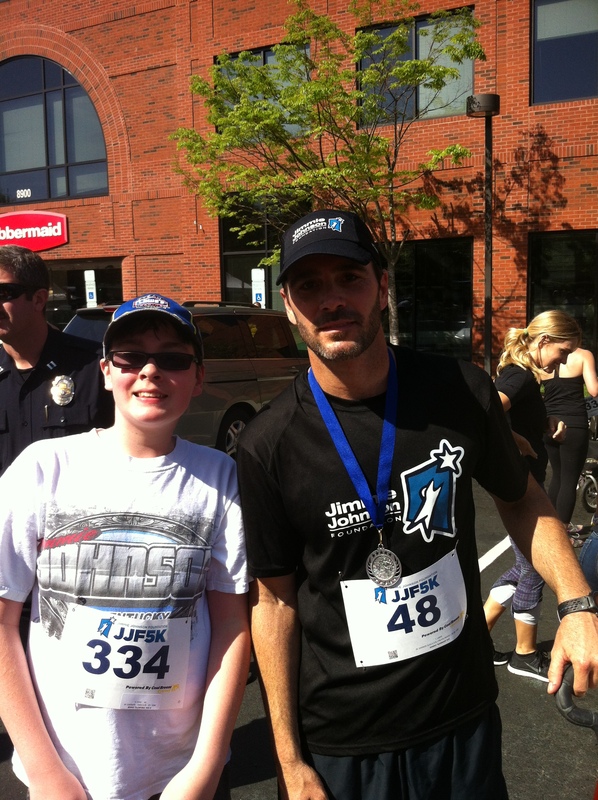 His favorite driver is the Six Time Champion Jimmie Johnson. So when we heard that the Jimmie Johnson Foundation was holding a 5k race in Huntersville, NC as a part of the Jimmie Johnson Foundation Wellness Challenge we knew we had to go run. 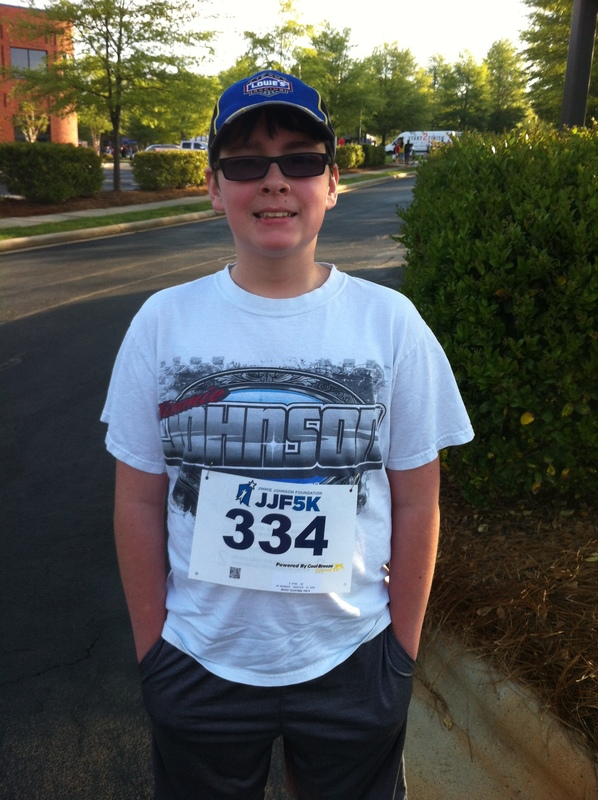 This was my son’s first 5K since he was 10. It is always an experience taking a child on their first real road trip that is not a family vacation. Watching Chase, now 13, struggle out of bed at 5:00 am for the 2 hour drive to the race all for the chance to meet one of his heroes was impressive. He was a real trooper doing his best to stay awake and keep me talking for the drive. The drive from our home in Pinehurst to Huntersville is one two lane country roads for and congesting in the Charlotte, NC area. This are of North Carolina between the Sandhills and the Piedmont is one of a changing landscape. In our Sandhills area you start out seeing nothing but Long-leaf Pines and as you drive North and East it slowly transitions to a hardwood forest of oak, maple and sassafras. The race itself was superb, very possibly the best ran 5k event I have been to. They were ready with packets, the all important t-shirts were good and most important of all the race started on time and the course was the correct distance. 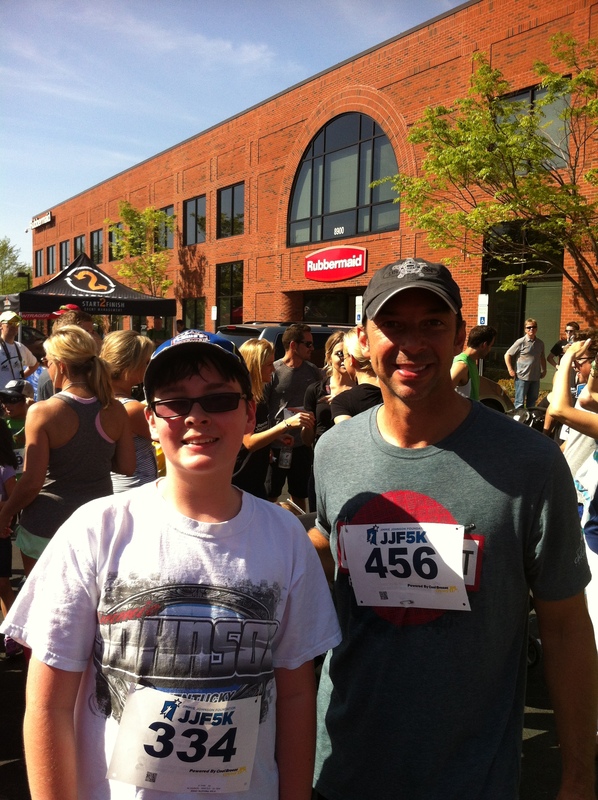 Since chase and I were running together, I did not come close to a good pace, but he set a new personal record for 5K! The after party was pretty good also. Blue Bunny Ice cream was their with treats and Mac’s Speed Shop brought their mobile BBQ pit Hogzilla and had BBQ sandwiches for the runners. Now I must admit I am not the biggest fan of North Carolina style BBQ, but this BBQ was good as was the coleslaw and Mac and Cheese. Just good southern BBQ. Seeing the Hogzilla was a trip. I just need to convince my wife that I need to build one. 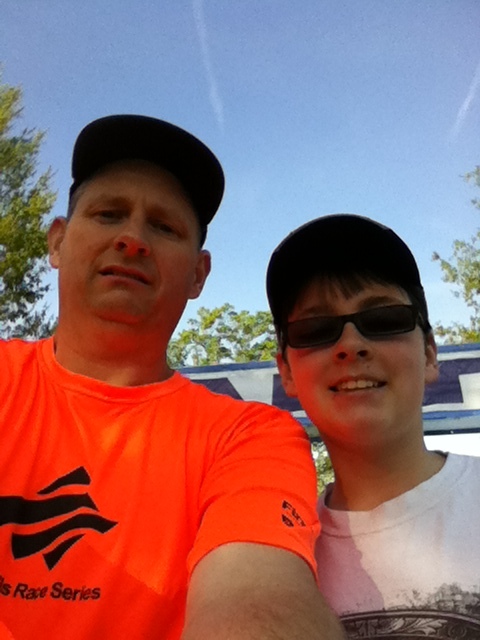 Me and Chase at the start line.